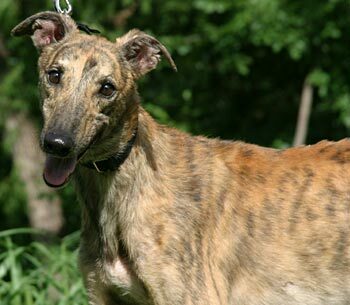 Martin is one of 9 greyhounds GALT received from a Fort Worth Animal Control cruelty case. 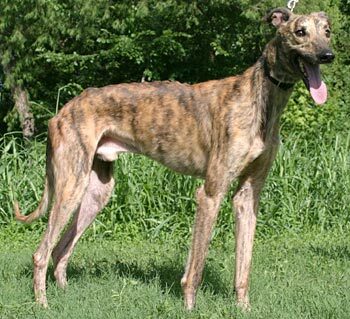 He is a very sweet, 3-year-old brindle boy born in March 2007 who loves to be talked to and loved on. He is very lethargic right now and has a milky discharge coming from his nose and some discharge from his eyes as well. Luckily he has no fever, but he is on some extra medication to fight off whatever bug he has caught. His skin is very bumpy from all the scabs and wounds left by the many ticks he was covered in. He feels more like a lizard than a dog when you pet him. The last few days have been hard on him, he has mostly laid around sleeping but enjoying his wonderful new life. He has a great appetite and loves his treats! This morning (July 16) he had a little more energy and bounced around a bit outside enjoying the sunshine. Martin is a very beautiful boy. His foster family tells him how good he is very often, his little tail wags and a sweet smile is his thank you for all the help he has been given. Just like the other rescued dogs, he is positive to babesia as well as ehrlichia at extremely high titers and has a huge load of intestinal parasites. He is being treated for all. Unfortunately Martin’s recovery is not progressing as we’d like, so his care has been transferred to the specialists at the Animal Diagnostic Clinic in Plano. 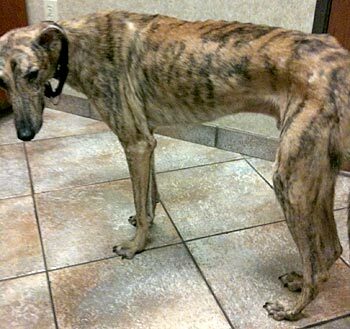 The ADC shares a building with the Emergency Animal Hospital of Collin County, so he is able to be under 24-hour care. 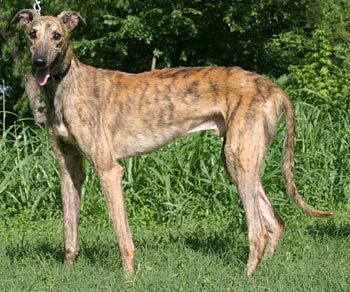 He and Rachael are both presenting much of the same symptoms, and their care is relatively the same as well. Chest x-rays are clear, which is good, but we’re still awaiting the result of bloodwork that went out today. He is being given IV fluids and IV broad-spectrum antibiotics in hopes of treating the probable upper respiratory infection he is currently fighting. Martin left us today, July 29, at 5:05pm with loving friends surrounding him, and his foster mom, Holly, whispering in his ear. Martin's condition continued to deteriorate today with his experiencing advanced neurological symptoms. This video shows his condition. Dr. Doug Bronstad, board certified in Internal Medicine at the Animal Diagnostic Clinic in Plano has been in charge of both Martin's and Rachael's cases. 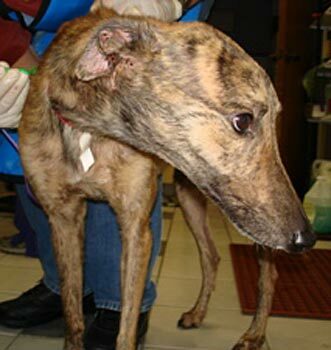 Per Dr. Bronstad, "A dog with the severe neurological issues that Martin presented can expect to suffer debilitating and often fatal seizures in the immediate future and has no chance at recovery." 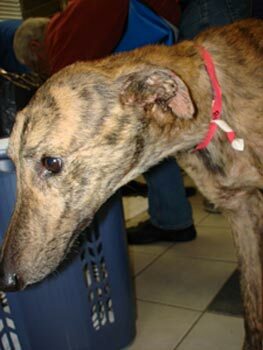 The test results are still pending; PCR tests for distemper were submitted. Results were hoped to be received today, but have not been reported at this posting. Martin, along with many of the 28, arrived at FWAC with green mucous in his eyes, as did Rachel and several others. Martin is now running pain free at the Rainbow Bridge with his friend Rachael. All medical reports have and will continue to be turned over to the Ft. Worth Police Animal Cruelty Detective to aid in the prosecution of the person from whom these 28 dogs were seized. PCR testing was received which confirmed Dr. Doug Bronstad’s diagnosis of distemper.